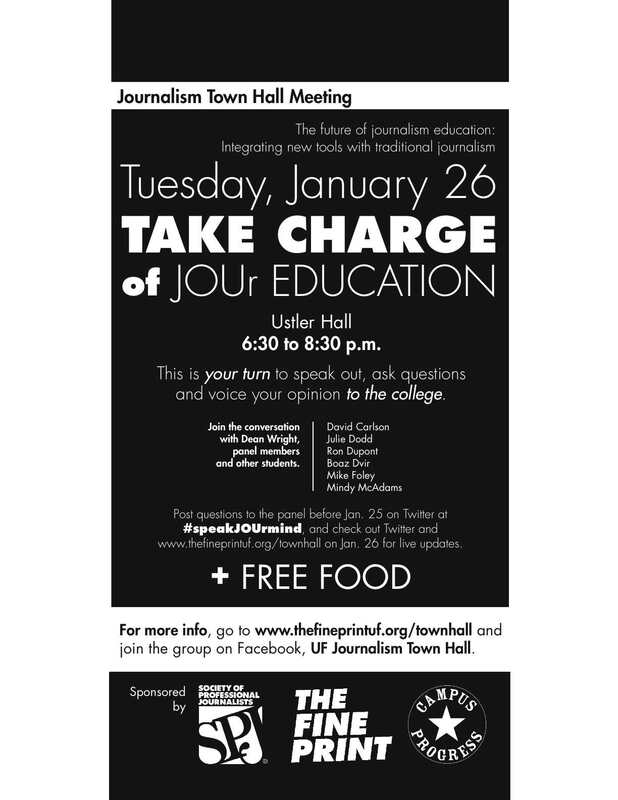 Tomorrow evening a special event is being held for our college — a Journalism Town Hall Meeting. Students in the campus chapter of the Society of Professional Journalists and staff members of The Fine Print have organized what they hope will be the first of several town hall meetings. I find this event more interesting than I might typically, as I am one of the six panelists. We have been given six questions to consider. The format is: Dean John Wright will introduce the evening. The panel will discuss the questions. Then the town hall part of the program takes place, with members of the audience being encouraged to ask questions and discuss the future of journalism and the future (and present) of journalism education in our college. I will be interested in how the student moderators of the program set the stage for why they have called for this town meeting. The recently approved changes to the journalism curriculum, including a new equipment requirement and new course requirements? The trends in the newspaper industry with few “traditional” journalism jobs? The use of the soon-to-open Center for Media Innovation and Research? Changes in the relationship between the academic side of the college and the recently created Division of Multimedia Properties (i.e., the radio and television stations)?